A large healthcare organization with over 170,000 workers is using an OM Plus based print software. They are using OM Plus for delivering documents to tens of thousands of printers across the US. 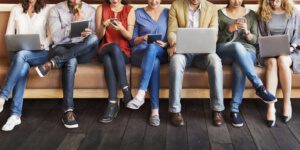 In addition to delivering documents, created by systems such as Epic and Cerner, OM Plus is a key component in a mobile printing solution for user smart-phones and tablets. Integration of OM Plus and software from Breezy for mobile printing. The solution provides a print experience on users mobile devices (phone or tablet) via the internet. Moreover, the Breezy software takes the user print job and submits it to the OM Plus system located on the customer’s network. Furthermore, Breezy provides an appropriate end user id with the print jobs. OM Plus then recognizes that id which in turn is used for our pull print solution called My-Print-Delivery (MPD). This solution is embedded in Lexmark and Xerox devices. Mobile Printing software is a mobile print application that enables the printing of documents from mobile devices, such as smartphones and media tablets, through Wi-Fi networks. These applications also enable mobile devices to have access to, and communicate with, printers and multi-function products. 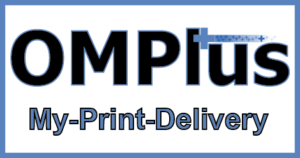 OM Plus My-Print-Delivery (MPD) software is Plus Technologies solution for pull printing. This type of solution is also called by other names such as print release, pull printing, follow-me, or find-me printing. The idea behind this concept is to improve printing efficiency. This is accomplished by holding users’ documents in the print system. Documents are held until the user releases them from the printer or multifunction device itself.